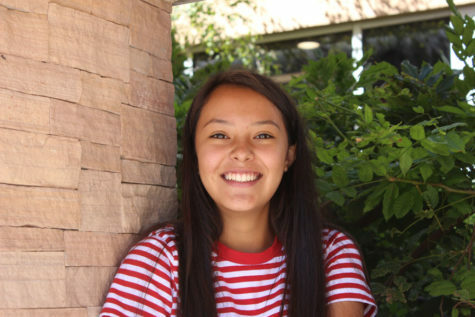 Sayra is a freshman at Santa Fe High, and she has quickly come to realize that it's no walk in the park. ¨It's challenging — high school will test you,¨ Sayra says, ¨but it won't work if you don't try.¨ School has always been a struggle for her because of her dyslexia, but she is determined to get through high school. She's prepared for a crazy year. In her free time, Sayra watches a lot of Netflix and sleeps a lot. She is passionate about online shopping. She always wants to get better at writing — she's quite passionate about it. Poetry has always interested her; she enjoys the smoothness of words and how they come together on paper. Her goals in journalism are to tell stories and to help people keep up to date on events or issues that are going on all around us.